Cawley point is located at the mouth of Storm Bay in the Sechelt inlet. As we are an off-grid eco-destination, there are no roads leading to the property making your journey a part of this true wilderness experience. Make your way to Sechelt on the Sunshine coast and be greeted by our boat captain, who will guide you into resort on a wonderfully scenic cruise up the Sechelt inlet. To book your ferry crossing; visit www.bcferries.com. Choose Horseshoe Bay to Gibsons (Langdale) ferry. The journey will take approximately 30 min. We strongly recommend that you make a reservation as these crossings fill up early in the busy summer months. Get the VIP treatment from our preferred float plane companies operating out of the Sechelt. Flights may be taken from Vancouver airport (aproximatly 20min from resort), or from Sechelt iteself. This is a truly epic way to start your wilderness adventure. 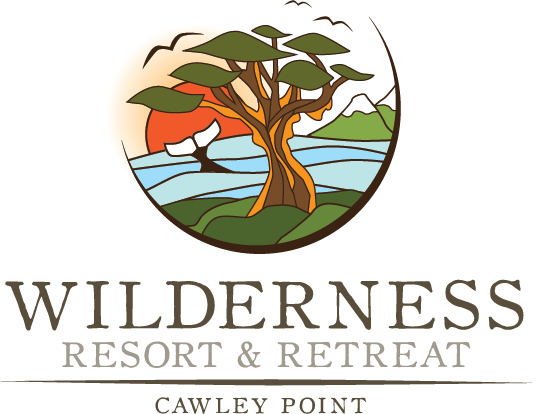 When booking flight, ask for Wilderness Resort & Retreat Cawley Point Drop Off. For a change of perspective, fly into Sechelt (Lighthouse Marina) from Vancouver, then take our resort boat into the Wilderness Resort. Contact us for information on local helicopter providers. Make your way to Sechelt or Egmont and arrange a pick up by water taxi from either locations. Local water taxi company Tzoonie Water Taxi offers services, to book your water taxi call (604) 883 9220. Taxi rates and availability may vary during the season so book ahead of time to ensure availability. Take it at your own pace and visit us on your schedule. Benifit from our 'carbon bonus' initiative and receive a discount on your accomodation simply by arriving under your own power! If you need equipment for your self propelled trip, please visit our prefferd rental facility at pedalspaddles.com, they are located in the Sechelt inlet, approximately 3 hour paddle from the resort. Simple drive to their facility, park your car, load up and start paddling!